Posted on Feb 28, 2013 by Appleton Downtown Inc.
Carnelian is one of the stones of power. 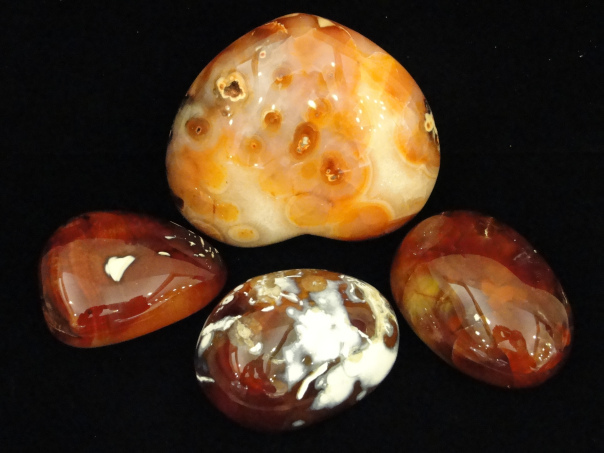 Mystical Earth Gallery has some great information about the benefits of carnelian. See their carnelian in their store in the City Center, Downtown Appleton. The duality of carnelian is a wonder. It can impart a calming effect, yet its strength in aiding the “warrior” appears to be a contradiction to the soothing side of carnelian. Perhaps the very attribute that boosts self esteem, which radiates the calm feeling to one, is what also enhances one as they prepare to do “battle” in the ancient world or face the obstacles that modern world offers. Read more about carnelian via: Carnelian is the stone of strength and power… | Mystical Earth Gallery ~ Blog.